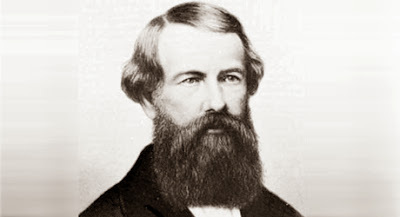 In 1852, Elisha Graves Otis invented the very first safety passenger elevator. We won't get into the specifics of it here, but Otis basically made sure that even if the ropes or pulleys of your elevator snap, you won't go plummeting to your death. Somewhat surprisingly, even 150 years later, Otis's core design has hardly changed at all. If that doesn't impress you, we don't know what will. You have this beard to thank for all your McDreamy elevator fantasies. As a result of this new form of transportation, people began to spend more time than ever before in small, confined spaces with complete strangers. In fact, there's a whole psychology behind physical and social elevator behaviors. 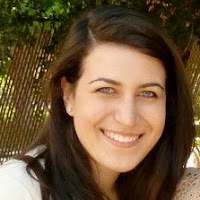 The reason the elevator scenes in Grey's Anatomy work is because they use our inherent knowledge of these behaviors to convey developments in relationships and individual characters. Let's talk about what exactly this means. Physically, when you step into an elevator, there are certain behavioral changes that immediately kick into action. The first of these is the creation of appropriate spatial arrangements. 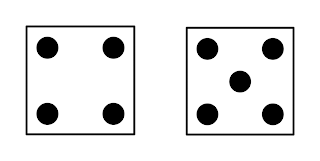 Spatial arrangement within a confined (usually square) space, results in the automatic reaction of people organizing themselves like dots on a die to optimize personal space. 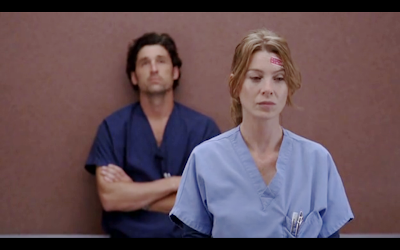 In this gem of a scene, we start off with Derek, Rose, Addison, and Meredith all in one elevator. They're arranged in a square, with one person in every corner. And then, just when it can't possibly get any more awkward, Mark arrives and inserts himself into the middle of the square, just like the dots on a die. So, the behavior of turning around to face the door in an elevator has less to do with the ease of exiting and much more to do with avoiding uncomfortable interactions with strangers inside a small, confined space. But, let's be real. 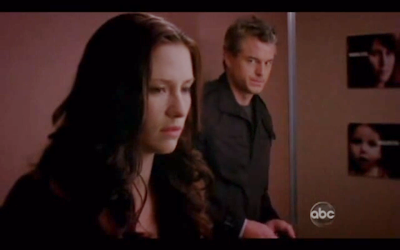 We all know our favorite surgeons aren't so great at avoiding intimate interactions in elevators. That's right, ladies. We're looking at you. 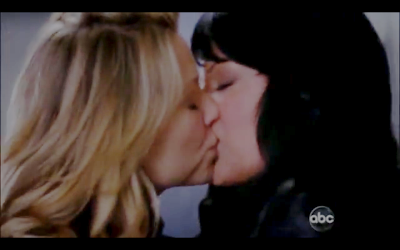 A demonstration of intimacy can be shown through this little thing called "personal space." When you're in an elevator, you're expected to observe culturally accepted standards of personal space. These vary in different parts of the world; for example, is Asia, people are comfortable getting much closer to each other in everyday life than people in the United States are. When this culturally accepted physical space is ignored, however, the visual can be used to imply intimate relationships. See what we're talking about here? These two are not maintaining a comfortable social distance. 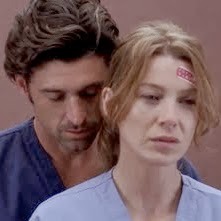 But, with Derek's action and Meredith's acceptance of this action, the intimacy between these two characters is displayed to the audience without either character speaking a single word. To put it simply, strangers don't get cozy in the elevator. That would be weird. 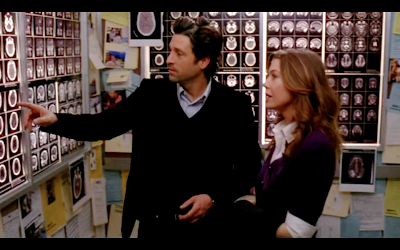 But we, as the viewer, understand Meredith and Derek's closeness and attraction to one another, even in the absence of dialogue, because of how willing they are to disregard the niceties of personal space. 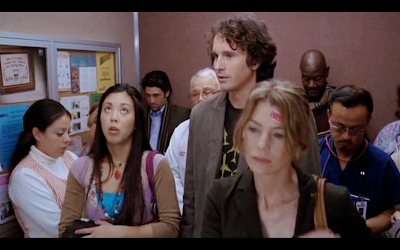 By anticipating its audience's knowledge of universal elevator etiquette, Grey's Anatomy is able to communicate important information about characters and relationships. But, the show has also established the elevator as its own self-contained symbol of relationships and love. And that sure does that make it a fun ride.